Charging electric cars could soon be quicker and easier, thanks to a new form of ‘liquid’ battery being developed by MIT researchers. Though electric car development has come a long way, there are still a few issues to be resolved in order to achieve the desired cut-throat competition with their gas guzzling counterparts. One of the biggest problems facing the electric car industry is bulky batteries. Also, present day lithium ion batteries need hours of charging to make them run for relatively short distances. 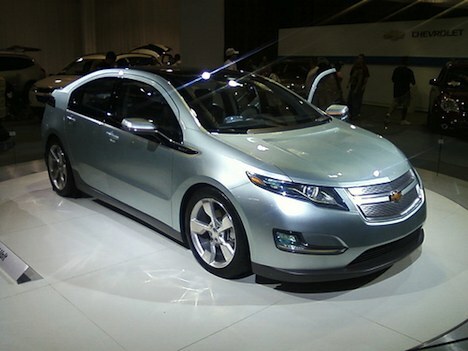 For example, Chevy Volt takes about 10 hours to be fully charged using a regular 120V outlet, and it goes for about 25-50 miles before it has to run on the backup gas engine. A team of MIT researchers has come up with a new, easy-to-fuel, and more powerful battery. According to an MIT research paper published in Advanced Energy Materials journal, the new approach uses semi-solid flow cells. In the new design, anodes and cathodes are in the form of solid particles hung loose in liquid electrolyte. This liquid is thick and looks like quicksand. It is propelled through the system as the battery is charged or discharged. Researchers at MIT are hopeful that this design could eventually cut the cost and size of the present day battery in half. The new design is also expected to give 10 times better results in energy density than the present day design. It is hoped that the new type of battery design will boost the performance of electric vehicles and bring them to the same levels as their petroleum counterparts. An average electric car could then travel as much as 200-300 miles after being charged once. Plus, recharging it would be easy and drivers would have two options- either to replace the slurry, or to recharge the existing material with electric power. Next post: Can ‘Forest Bathing’ Lead To A Less Stressful Life? Previous post: World Coal Consumption Increases: Should We Be Worried?